Ceramides are the major lipid constituent of lamellar sheets present in the intercellular spaces of the stratum corneum. These lamellar sheets are thought to provide the barrier property of the epidermis. It is generally accepted that the intercellular lipid domain is composed of approximately equimolar concentrations of free fatty acids, cholesterol, and ceramides. Ceramides are a structurally heterogeneous and complex group of sphingolipids containing derivatives of sphingosine bases in amide linkage with a variety of fatty acids. Differences in chain length, type and extent of hydroxylation, saturation etc. are responsible for the heterogeneity of the epidermal sphingolipids. It is well known that ceramides play an essential role in structuring and maintaining the water permeability barrier function of the skin. In conjunction with the other stratum corneum lipids, they form ordered structures. An essential factor is the physical state of the lipid chains in the nonpolar regions of the bilayers. The stratum corneum intercellular lipid lamellae, the aliphatic chains in the ceramides and the fatty acids are mostly straight long-chain saturated compounds with a high melting point and a small polar head group. This means that at physiological temperatures, the lipid chains are mostly in a solid crystalline or gel state, which exhibits low lateral diffusional properties and is less permeable than the state of liquid crystalline membranes, which are present at higher temperatures. The link between skin disorders and changes in barrier lipid composition, especially in ceramides, is difficult to prove because of the many variables involved. However, most skin disorders that have a diminished barrier function present a decrease in total ceramide content with some differences in the ceramide pattern. Formulations containing lipids identical to those in skin and, in particular, some ceramide supplementation could improve disturbed skin conditions. Incomplete lipid mixtures yield abnormal lamellar body contents, and disorder intercellular lamellae, whereas complete lipid mixtures result in normal lamellar bodies and intercellular bilayers. The utilization of physiological lipids according to these parameters have potential as new forms of topical therapy for dermatoses. 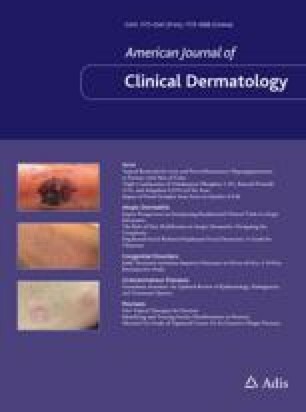 An alternative strategy to improving barrier function by topical application of the various mature lipid species is to enhance the natural lipid-synthetic capability of the epidermis through the topical delivery of lipid precursors. We thank Ms C. Alonso, Dr M. Martí, and Mr G. von Knorring for their expert technical assistance. We are also indebted to Dr J. Notario (MD) and Professor J. Peiry (MD) from Servicio de Dermatología de la Ciudad Sanitaria y Universitaria de Bellvitge (Barcelona, Spain) for their useful comments. No sources of funding were used to assist in the preparation of this manuscript. The authors have no conflicts of interest that are directly relevant to the content of this manuscript.